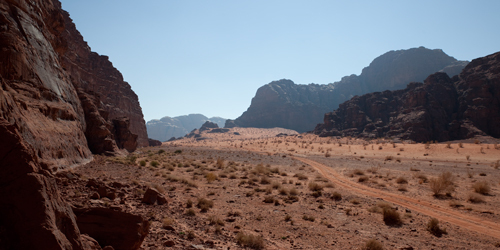 Here you can find some of our highly recommended adventure trips through the desert of Wadi Rum. Those breath-taking tours range from hiking and trekking to scrambling. This is a hiking and easy scrambling progam that shows you some spectacular views. You will trek, hike and walk with our experienced guide around 4-6 hours each day around Rakebat Canyon, Jebel Um Ishrin, Um Fruth, Barragh Canyon and Jebel Burdah, the famous arch. Price: 70 JD/person per day for 2-4 people. This includes all meals, overnight stays and sleeping equipment. 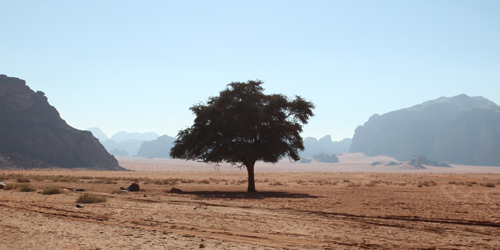 For those who dislike being organized and being told what to do, we offer the possibility of staying for a few days in the area of Wadi Rum where they can discover the desert by themselves, without the constant presence of a guide. Price: 25JD/person per day for 2 to 4 people. This includes all meals and sleeping equipment. A day begun is payable in entirety. If you are looking for other tours in Wadi Rum there are a number of possibilities that can be added on to any of the other trips. Look as well for our one day tours, two day programs and three and more day programs. You can find our general information about our tours here.